Submitted graphic The Gold Star Families logo. 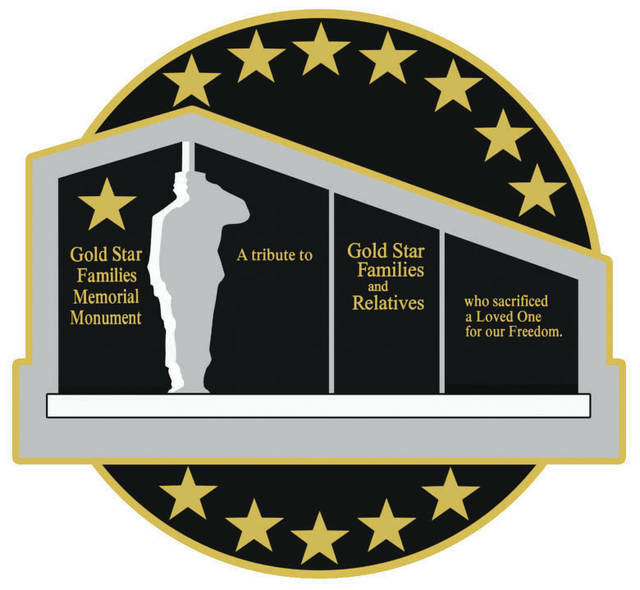 WRIGHT-PATTERSON AIR FORCE BASE — A new Gold Star Families Memorial Monument designed to honor Gold Star families, preserve the memory of the fallen and serve as a reminder that freedom is not free will be unveiled during a ceremony 10 a.m. Tuesday, Oct. 16 at the National Museum of the United States Air Force. This will be the 50th monument of its kind in the United States. This stunning black granite monument was donated by the Hershel “Woody” Williams Congressional Medal of Honor Education Foundation, Inc., which was established in 2010 as a charitable 501(c)(3), not-for-profit organization whose mission is to honor Gold Star Families by building monuments throughout the country, offering scholarships to Gold Star Children, sponsoring outreach programs and events, and educating communities about Gold Star Families and the sacrifice they have endured. The event, which is free and open to the public, is scheduled to take place in the museum’s Memorial Park, and will include Gold Star Families such as Leslie and Jim Groves, former Marine Greg McAfee, Navy Veteran and State Representative Jim Butler and Hershel “Woody” Williams. Williams was born on a dairy farm in 1923 in Quiet Dell, W.Va. He enlisted in the U.S. Marine Corps and served in the Battle of Iwo Jima. During the battle, Williams displayed “valiant devotion to duty” and service above self as he “enabled his company to reach its objective.” Williams’ actions, commitment to his fellow service members, and heroism were recognized on Oct. 5, 1945, when he received the Congressional Medal of Honor from President Truman at the White House. Williams is the sole surviving Marine from WWII, to wear the Medal of Honor. To date, Williams and his foundation are responsible for establishing 49 Gold Star Families Memorial Monuments across the United States with 45 other monuments underway in 39 states. Additional information on the Hershel “Woody” Williams Congressional Medal of Honor Education Foundation, Inc., is available at: http://hwwmohf.org/about-us.html. In the event of inclement weather, the ceremony will take place in the museum’s Carney Auditorium. https://www.xeniagazette.com/wp-content/uploads/sites/32/2018/10/web1_181009-F-IO108-001-copy.jpgSubmitted graphic The Gold Star Families logo.